Ford remained the largest carmaker in the UK during the first quarter of 2019 while the Fiesta was again the favorite car model of the British. New passenger vehicle registrations in the UK contracted by 2.5% during the first three months of 2019 to 701,036 cars. Ford was again the best-selling car brand but lost market share to Volkswagen, Vauxhall and Mercedes-Benz. The Ford Fiesta retained its position as Britain’s favorite car model but sales were sharply down. The Vauxhall Corsa regained second place from the VW Golf. During the first quarter of 2019, new passenger vehicle registrations in Britain declined by 2.43% to 701,036 cars — almost 17,000 fewer cars than during the first three months of 2018. The contraction of the British new car market was blamed on uncertainty. Not only does the uncertainty of Brexit weigh on the UK new car market, but also uncertainty about future regulations. The sales of diesel engine cars fell by a fifth with market share down from 33.5% a year ago to only 27.4% during the first three months of 2019. 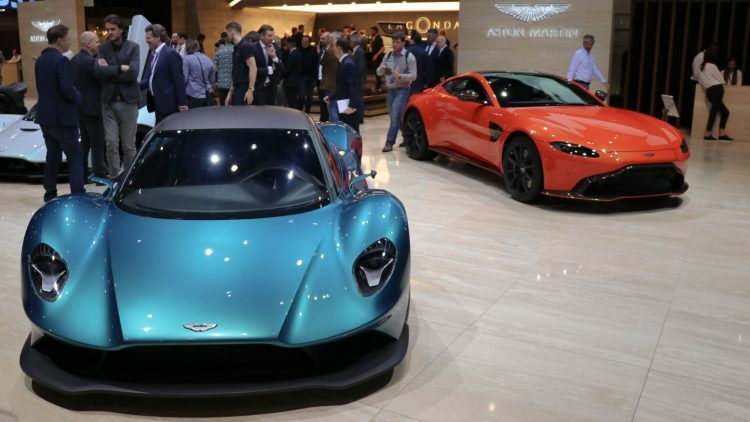 Worryingly for the British car industry, many buyers might have brought purchases forward to avoid potential higher import duties due to Brexit that was expected at the end of March. Such purchases may weigh heavily on the market in April, which also has to deal with Easter being later in 2019 than a year ago. Several importers had indicated that the full import duty would be charged to the buyer should it become necessary. Ford remained the largest carmaker in Britain during the first quarter of 2019 despite weak sales. Ford sales in the UK contracted by 17% – the worst performance of any top 20 brand. Ford lost nearly 2% market share. Volkswagen, Vauxhall and Mercedes-Benz retained their relative positions from a year ago and all increased sales in Britain. BMW and Audi swapped rank positions with both selling fewer cars in the UK thus far in 2019. Toyota sales were weaker while Kia sales improved. Both brands moved up one rank position as Nissan slipped from seventh to ninth with sales down by 15.5%. Peugeot entered the list of top ten best-selling car brands in Britain with stronger sales. Hyundai slipped to eleventh with sales down 11.5%. The most-improved brands of the 30 largest carmakers in Britain during the first quarter of 2019 were MG, Dacia, Volvo, Citroen and Jaguar. The worst-performing brands were Porsche, Smart, Ford and Nissan. Nissan did even worse in France and Germany. The Ford Fiesta remained the favorite car of the British thus far in 2019 but sales volumes were sharply down. In contrast, sales of the ageing Vauxhall Corsa improved to regain second place from fifth a year ago. A new Corsa based on the Peugeot 208 is expected toward the end of this year. The VW Golf slipped back to third with sales volumes lower than a year ago. The Golf 8 was expected later this year but its introduction has been postponed to 2020. The Ford Focus remained in fourth place with stronger sales. Sales of the Mercedes Benz A Class were only 36 cars lower than the Focus allowing the A-Class to move up two rank positions. The Nissan Qashqai slipped from third to sixth despite sales volume being nearly the same as a year ago. The VW Polo reentered the top ten list while the Mini retained its eighth place from a year ago with around 200 more cars sold thus far in 2019 compared to 2018. The Toyota Yaris is a new entrant on the list of the ten most-popular car models in Britain. The Ford Kuga slipped from sixth to tenth. The Vauxhall Mokka X and Mercedes Benz C Class dropped out of the top-ten list.